A compelling read, this story will captivate and inspire readers to greater goals. 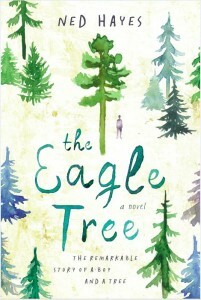 The Eagle Tree is one of the first books in a while for me that has captivated my attention and helped me feel alongside the main character. Enter March Wong. A teen on the autistic spectrum, March eats, breathes, and sleeps knowledge of trees. He has read science book after science book filled with facts and figures about trees and how to identify them. As a coping mechanism and something to lean on, his uncle, Mike, introduces him to climbing trees and March is hooked. He diligently climbs a minimum of three trees per day, sometimes as many thirty trees. What is truly fascinating about this book, is that Hayes expertly weaves together the study of human behavior with the study of science in a way that feels effortless even to a reader who has very little knowledge of either trees or autistic behavior. I found myself hanging onto every feeling and emotion that March had, hoping and hoping for progress and feeling each set back as if it were my own. The overarching narrative about global warming and climate change also set a precedence for healthy contemplation. What does an environmentalist look like? Who should be expected to change their behavior to halt global warming? March experiences everything very literally due to his autism. Hayes employs first person so effectively that readers are privy to the way March views everything. There is little or no narrative that doesn’t come from March’s perspective and that proves effective for developing readers’ feelings for our protagonist. Here’s a sample of March’s thought processes: “I don’t know what a Republican is, or how you can kill education. Education is not a living thing, it is an action that you perform to someone else to give them knowledge. And most of what I learn at ORLA is not knowledge. I have learned all about trees on my own, for example…. They have me do art, even though I am not good at art. And they teach me the history of human beings, for which I cannot see an applicable purpose. I like dates and times to be precise, but the way Mr. Gatek teaches, that appears to be a very small part of human history.” March thinks hard about each metaphor and he does improve upon his judgment about when he should or should not tell somebody that they are factually incorrect. Instead of painting autism as a tragedy, Hayes paints a more complete picture of what an autistic experience can look like. March has good days and bad days, progress and setbacks. His autism does prove to be challenging for himself and his family, but they work with all the behaviors associated with his autism to allow him to successfully communicate with not only his family, but all the people around him. The conclusion of this book felt a little confusing and jumbled together. I’m not really sure how it all related or how it wrapped up the story. The narrative seemed a little more fantastical than the rest of the book, which mostly felt very literal and factual. This fantastical element was rather a new introduction and made March’s story feel rather theatrical because it was so dramatic and improbable. I felt through most of the book that the story line was very believable and authentic, but the ending muddled that for me. I guess the only thing I can suggest would be for you to go read it for yourself and see how you feel about it. Ned Hayes is a scientist and technologist who has written several books. He has a great website and blog here. 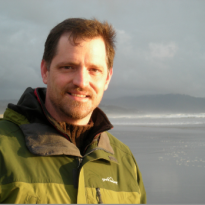 He has an MFA in creative writing and lives in Olympia, Washington. And I have to say I love the cover of this book, it’s so beautiful and part of what grabbed my attention when they asked me to review it. I received a copy of this book as a part of TLC Book Tours in exchange for an honest review.